Available to order in Kindle format from Amazon.co.uk, and in print from Amazon.co.uk, Amazon.de, and in Germany, through your local bookstore (via vlb.de). Read the whole article here. A very interesting take on the book. 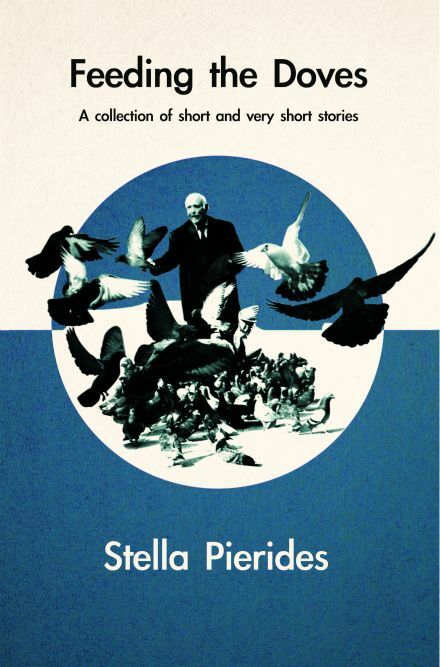 “From a symbol of the divine (“A Life-Changing Story”), to an object of meditation and near-worship in Syntagma Square (as in the title story), to their possible end in a soup kitchen destined to feed hungry children (“Pigeons”), doves’ journey functions as a counterpoint to the human sacrifice and quest for nourishing truths. Several glimpses into silent, sometimes tortured lives, end in haiku. It serves to deepen the reader’s understanding, and add new dimensions to the prose. And it’s a treat, as Pierides is both an archeologist of experiences, and a mistress of haibun. Available through Amazon.co.uk, Amazon Europe and the author.